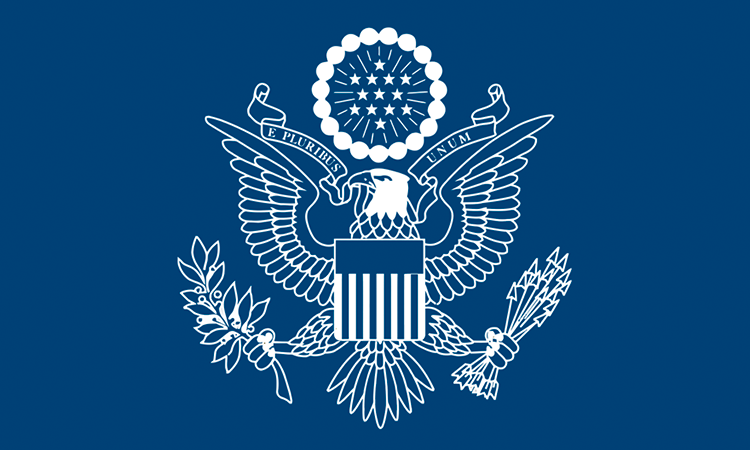 The Consular Section of the American Embassy provides assistance to American citizens residing in or visiting China and Visa services for temporary visitors and immigrants to the United States. The Citizen Services Unit helps American citizens with passport applications and renewals, reports of birth for children born in China, voter registration, applications for Social Security numbers, federal benefits, child custody issues, and notarial services. The unit also provides emergency services for American citizens in distress. The Visa Unit processes both nonimmigrant and immigrant visas. Nonimmigrant visas are processed for persons who seek short-term visas to the United States, such as tourist visas, business visas, student visas, crew visas, temporary work permits, etc. Immigrant visas are processed for persons who are entitled to reside permanently in the United States and the main office is currently located in the Guangzhou Consulate district. APHIS Beijing office provides technical leadership, management and coordination of plant and animal health issues with China (Hong Kong, Macau), and Mongolia and ensures the safe trade of agricultural products consistent with international standards. Partnering with Foreign Agricultural Service (FAS), APHIS ensures that new trade opportunities are realized and that existing agricultural trade between the United State and China flows smoothly. As primary negotiator for SPS related trade issues, the APHIS Beijing office maintains close working relationships with the Chinese counterparts to resolve SPS issues to facilitate opening of new markets and to retain or expand current markets for U.S. agricultural products. APHIS Beijing office also secures the release of Agricultural shipments detained at Chinese ports by resolution of trade related SPS issues as they occur at ports of entry. The US Commercial Service is the trade promotion arm of the U.S. Government. Our main objectives are to promote U.S. exports, by encouraging foreign direct investment into the US, and protecting US business interests abroad. By facilitating exports of US products to China, we also foster easy access to U.S. products and services for Chinese buyers. The U.S.-China trade relationship continues to grow in size and strength, as it has over the past decades, bilateral trade growing annually at 17% for the past 10 years. Moreover, the U.S. Government’s commitment to further strengthening this trade relationship is evident in the staffing and resources invested in the Embassy and Consulates in China. Our China operation is three times larger than the second largest Department of Commerce operation in a foreign country. Business Consulting & Advocacy – Commercial Service staff in the U.S. and China counsel U.S. clients daily on issues such as market sector growth and potential, industry standards, IPR protection, and market entry barriers. Moreover, we help companies that face trade disputes, non-payment issues, and regulatory anomalies. We also advocate for U.S. companies competing for foreign government contracts. International Partnering – We understand that one of the biggest hurdles U.S. companies face when doing international business is locating an appropriate, reliable, and honest partner with whom to work. Whether it is a distributor, sales representative, or customs agent, we help US companies find the right partner in China. Our trademark Gold Key Matching Service introduces US companies to these potential Chinese partners. To help US companies export we also have other services, that include tailored marketing facilitation and due diligence on potential partners. Trade Events – International trade shows provide an excellent platform to introduce U.S. suppliers to foreign buyers. The Commercial Service facilitates U.S. exhibitors at trade shows around the world to meet with foreign buyers attending the show. In addition, the Commercial Service organizes a number of industry-specific trade missions every year, bringing delegations of US companies to China and other countries around the world to get a first-hand look at the local market and meet key industry players. The Department of Energy China Office coordinates with all DOE Program Offices and support offices on issues affecting nuclear security and energy cooperation with China. Nuclear Security: Further strengthen nonproliferation and emergency response to improve nuclear security in China and U.S.
Energy Security: Promote U.S.-China projects and programs on reliable, sustainable and environmentally sound energy supplies and energy demand to create green jobs, spur competitiveness and combat climate change. Scientific & Technological Innovation: Support U.S.-China research and collaboration that improves quality of life and economic growth. DOE China contributes to DOE’s greater goal of ensuring America’s nuclear security by promoting the safe, secure and environmentally friendly use of nuclear energy worldwide; by enhancing security at facilities that store nuclear and radiological materials, and by deterring and preventing illicit trafficking of nuclear and radiological materials. On nuclear security and nonproliferation, we work with our Chinese counterparts to install radiation detection equipment at key border crossings, to enhance physical protection and material control and accounting systems at nuclear facilities, to strengthen security at facilities that house radiological materials, to share information and lessons learned on such issues as nuclear security culture and inspections at nuclear facilities, to promote secure transportation, and to strengthen emergency response capabilities in the event of a nuclear incident. On nuclear energy, we work with Chinese counterparts to support China’s application of AP 1000 technology, to promote the safety of nuclear power plants, to carry out research and share information on next generation nuclear technologies, and to cooperate in multilateral fora to promote the safe, secure use of nuclear energy. Fossil fuels – coal, oil, and natural gas – currently provide more than 86 % of all the energy consumed in the United States and 89% of that consumed in China. Thus, we aim to foster innovative ways to make the future production and use of fossil fuels cleaner and more efficient. Oil and Gas Industry Forum (OGIF). Held annually for over a decade, OGIF is the only event that brings together industry and government from both countries to explore common issues and improve industry investments and efficiencies. Fossil Energy Protocol (FEP). FEP promotes cooperation in power systems, clean fuels, oil and gas, energy and environmental control technologies, and climate science. Held annually for a decade, the FEP forum reviews successes in collaboration and plans for cooperation going forward. Renewable energy plays an increasingly important role in our nation’s and China’s energy mix. We work to facilitate joint research and projects to increase wind, solar, geothermal, biomass, and water power. Cooperation is highlighted in biannual public-private forums. As economic and industry growth continues in China we help promote efficient building technology and increased energy efficiency in industry. The United States and China engage in hold an annual Energy Efficiency Forum to assess the status of joint projects, to share insights on emerging policies to inform new initiatives, and to foster trade and investment opportunities in the energy efficiency sector. We support bilateral endeavors that cut across energy areas, strengthening the breadth and depth of cooperation. The U.S.-China Clean Energy Research Center (CERC) funded in equal parts by the United States and Chinese government, utilizes joint research to create new energy technologies. 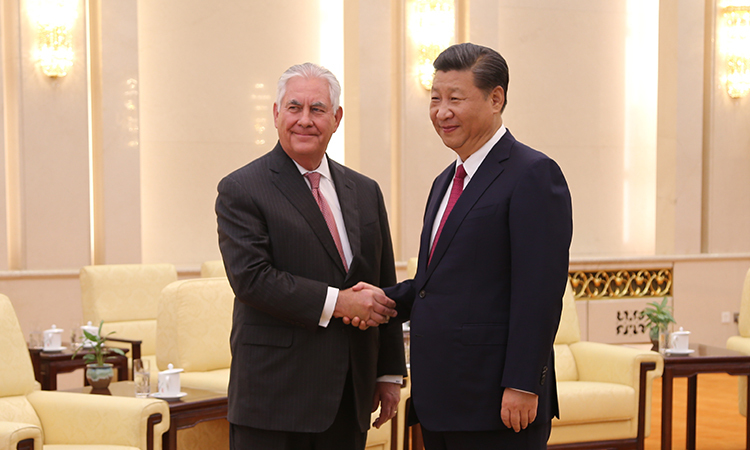 The U.S.-China Energy Policy Dialogue (EPD) is the principal annual gathering of senior government energy leaders to discuss timely issues of mutual interest. The Ten Year Framework (TYF) involves commitments by both governments to achieving cleaner power, transportation and higher energy efficiency. The Energy Cooperation Program (ECP) ties government with industry to spur the creation of clean energy. DOE works with its Chinese counterparts to advance research and development in high energy physics, nuclear fusion, neutrino properties and other areas. The High Energy Physics Implementing Accord advances theoretical and experimental research. Specific areas of collaboration include the Beijing Electron Positron Collider (BEPC) and the Daya Bay Neutrino Experiment. • The Protocol on Nuclear Physics and Controlled Magnetic Fusion focuses on plasma physics, fusion technology, advanced design studies, and materials research. • ITER is an effort by China, E.U., India, Japan, Korea, Russia, and the U.S. to build the world’s largest fusion facility, demonstrating the feasibility of fusion power. The Economic Section works on behalf of U.S. industry and the American public to advance U.S. economic interests throughout China. Every day, we push to expand market access for American goods and services and fight for a level playing field for U.S. companies doing business in China. The section works in concert with other economic and trade agencies throughout the U.S. government and routinely engages with China where our interests align, on everything from sanctions implementation to international development assistance cooperation. The Embassy’s Environment, Science, Technology and Health (ESTH) Section works with Chinese government agencies and non-governmental organizations to advance environmental stewardship, encourage economic growth, and cooperate on shared challenges. The Section’s key areas of focus include climate change, clean energy development, pollution, toxic chemical management, space exploration, biodiversity, environmental law, and emerging infectious diseases. To learn more about the ESTH section and its key issues, visit the ESTH page. Increasing collaboration and coordination with key stakeholders to strengthen product safety, quality and effectiveness. The Foreign Agricultural Service (FAS), the Animal and Plant Health Inspection Service (APHIS) at the American Embassy in Beijing represent the interests of the U.S. Department of Agriculture (USDA) in China. USDA’s Foreign Agricultural Service (FAS) has an unrivaled global network, of more than 90 Offices of Agricultural Affairs (OAA) and Agricultural Trade Offices (ATO), that connects exporters to foreign customers and provides crucial information on international agricultural markets. Covering 167 countries, FAS staff identify problems, provide practical solutions, and work to advance opportunities for U.S. agriculture, and support U.S. foreign policy around the globe. FAS operates six offices in China. These include one OAA located in Beijing and five ATOs located in Beijing, Chengdu, Guangzhou, Shanghai, and Shenyang. Beijing OAA is responsible for trade policy and commodity analysis, coordinates USDA China reporting through the Global Agricultural Information Network (GAIN), and assists with market access and technical issues for all of China. Agricultural Trade Offices focus on agricultural marketing efforts. All five ATOs in China provide support, assistance, and oversight to USDA cooperators (US agricultural product trade associations), work directly with U.S. companies to help them gain the knowledge and contacts needed to begin exporting to China, and prepare and disseminate reports about China’s agricultural market. The ATOs coordinate U.S. participation in various trade shows; sponsor marketing activities to introduce companies handling U.S. products to key retailers, food service and food processing companies throughout China; and provide guidance in the resolution of customs clearance issues. FAS China also sponsors training activities for Chinese public and private sector professionals, both in China and in the United States, on agricultural science and technology, agricultural innovation, food safety, etc. The Public Affairs Section (PAS) is comprised of the Information Section and the Cultural Section. 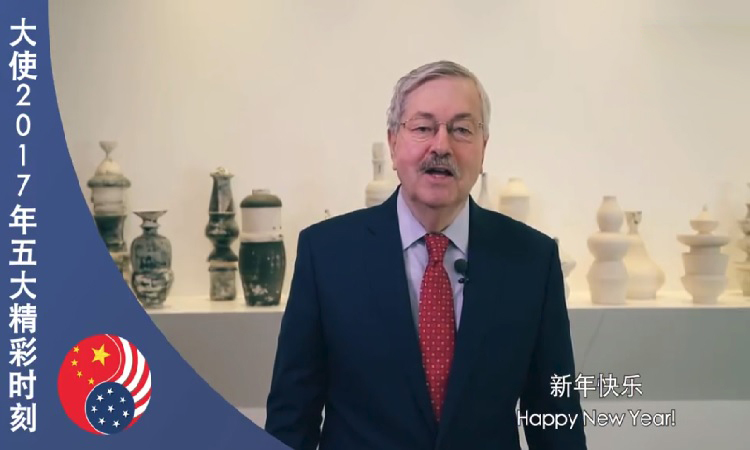 PAS administers the U.S. Government’s official information, educational, and cultural exchange activities in China, and PAS is the official voice of the United States Embassy in China and divides its work in two sections. Through its Information Section, PAS handles all public affairs matters and media relations concerning the Embassy, the United States Government, and U.S. policies toward China. The Information Section also assists other agencies and elements of the Embassy in their media activities and programs. 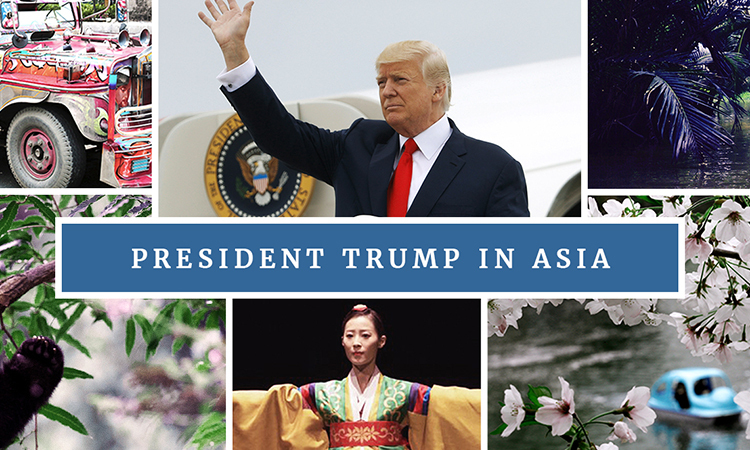 This section also prepares and distributes a daily Washington File, press releases, and backgrounders on American policy; organizes press conferences, webchats and other media events; and provides timely and useful information to Chinese journalists and China-based foreign correspondents. Journalists may also wish to contact the Foreign Press Center or the Department of State Public Affairs (PA) Office. The Cultural Section coordinates and supports U.S. cultural and educational activities in China. These activities include exchange visitor programs, Fulbright and other educational exchange programs, and lecture programs. The Beijing American Center (BAC) houses a reference service that provides information on U.S. history, society, government and education, and holds regular programs and events about various topics, including the U.S.- China Fulbright Program, EducationUSA, and English Language Program. See the Beijing American Center page for more information. The public affairs office in Chengdu is responsible for carrying out all of the U.S. Government’s information, cultural and educational exchange programs in the Chengdu Consular District. Facilities in Chengdu include a 1000-volume Information Resource Center that focuses on the study of America with more than 40 current American periodicals. The Information Resource Center is open to all members of the public during regular office hours, which are 09:00-12:00 and 13:00-17:00 Monday – Friday. The public affairs office in Guangzhou is responsible for carrying out all of the U.S. Government’s information, cultural and educational exchange programs in the Guangzhou Consular District (Guangdong, Fujian, Guangxi and Hainan provinces). Our Information Resource Center is open to all members of the public during regular office hours, 8:00-12:00 and 13:00-17:00 Monday – Friday. The office administers U.S. Government’s public affairs, diplomacy, and information programs, including academic and cultural exchanges in eastern China (Shanghai municipality together with Zhejiang, Jiangsu and Anhui provinces). The office is open 08:00-12:00 and 13:00-17:00 Monday – Friday. The office administers U.S. Government’s public affairs, diplomacy, and information programs, including academic and cultural exchanges in Northeast China (Heilongjiang, Jilin, and Liaoning provinces). The office is open 08:00-12:00 and 13:00-17:00 Monday – Friday. The public affairs office in Wuhan is responsible for carrying out all of the U.S. Government’s information, cultural and educational exchange programs in the Wuhan Consular district (Hubei, Hunan, Henan and Jiangxi). The office is open from 8:00-12:00 and 13:00-17:00 Monday – Friday. In 1961, President Kennedy signed the Foreign Assistance Act into law and created USAID by executive order. On November 3, 1961, USAID was born and with it a spirit of progress and innovation. 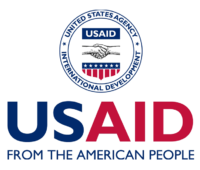 USAID is the lead U.S. Government agency and the primary foreign assistance arm of the U.S. Government, and USAID reflects the deeply held moral values and humanitarian instincts of the American people to help the less fortunate. USAID’s work remains an important instrument for the conduct of U.S. foreign policy. We partner to end extreme poverty and promote resilient, democratic societies while advancing our security and prosperity. Passion for Mission, Excellence, Integrity, Respect, Empowerment, Inclusion, and Commitment to Learning. China is the world’s largest developing country. In the past decades, China proactively promoted international development and played a constructive role by providing assistance to other developing countries within the framework of South-South cooperation. In recent years, the scale of China’s foreign assistance kept expanding, and there are many developing countries receiving assistance both from China and the U.S. In order to facilitate communication and cooperation with Chinese agencies in the host countries as well as in global development agenda, USAID set up Beijing office in 2008. By working closely with the Ministry of Commerce (MOFCOM) and other Chinese agencies, USAID has conducted joint activities with Chinese counterparts to demonstrate tri-lateral projects in food security, organize study tours and training for Chinese experts outside of China, and co-host dialogues on development at various levels. During President Xi Jinping’s state visit to the U.S. in September 2015, USAID and MOFCOM signed a Memorandum of Understanding on U.S.-China Development Cooperation and the Establishment of an Exchange and Communication Mechanism, and China and the U.S. agreed on the factsheet of development cooperation, which will guide the joint efforts of both sides in the most challenging areas of global development, including food security, global health, and humanitarian assistance. The Centers for Disease Control and Prevention (CDC) and the Chinese government have collaborated on public health priorities that affect China, the United States, and the global community for more than 30 years. U.S. CDC focuses its China-based work on HIV/AIDS, emerging and re-emerging infectious diseases, influenza, immunizations, workforce development, non-communicable diseases, and laboratory quality and safety. The China-U.S. CDC collaboration on HIV/AIDS was launched in 2003 and focuses on controlling the spread of HIV from those already infected. U.S. CDC and China CDC experts also work together to help China identify and contain infectious disease outbreaks before they spread globally. The Chinese Field Epidemiology Training Program (CFETP), a two-year program, strengthens disease surveillance, applied epidemiology, and response capacities through a rigorous curriculum and extensive field work experience that is designed to train China’s future public health leaders. Additionally, for more than 20 years, U.S. CDC has supported the Chinese national influenza laboratory to monitor seasonal and novel influenza viruses. Currently, in partnership with China CDC, provincial CDCs and academic institutions, the Influenza Program in China enhances efforts to detect, monitor, respond to and control human seasonal, avian, and other novel influenza viruses with pandemic potential to reduce influenza-associated mortality and morbidity. CDC also works with Chinese public health officials to eradicate, eliminate, or control vaccine preventable diseases through immunization and provides technical support to prevent premature deaths and disabilities due to non-communicable diseases, injuries, and environmental health hazards. Learn more about CDC’s work through the CDC website and CDC’s Global Health website. For more information about HIV/AIDS, visit the PEPFAR website or the CDC HIV/AIDS website. For more information about influenza, visit CDC Influenza website and see the travel advisory on the U.S. Embassy Beijing website.